In September of 2017, Hurricane Maria, the strongest hurricane to hit Puerto Rico in 90 years tore across the island, packing winds over 150 miles per hour. As is often the case these days, attention has moved on to other crises at home and abroad, but we must not forget Puerto Rico. In mid-April , after months of slow progress, the island completely lost power again. And for the American families still without basic services and the children who have collectively lost out on millions of full school days, the hurricane is still a daily reality. Here are six things you’ve probably forgotten about Hurricane Maria and Puerto Rico but shouldn’t. People were vulnerable before the storm. Nearly half of people on the island were living below the poverty level. The rising cost of goods, housing, and power was leading people to leave. The Pew Research Center reports that between 2005 and 2015, nearly 500,000 people left the island. A 2016 report by the Annie E. Casey Foundation found 56% of children in Puerto Rico in poverty and 36% in extreme poverty. Life is Not Back to Normal in Puerto Rico Today. Even before April’s massive blackout, 10% of the island remained without power and for more than 50% of households in some rural and mountainous regions, power has yet to be restored. Frequent blackouts across the island cause residents to relive the immediate effects of the hurricane long after it has passed. Some families still do not have clean drinking water or reliable sanitation systems. Because conditions on the island remain bad, more than 20,000 students have left the island and lost days, weeks and in some cases months of learning. Tens of thousands of houses still have tarp roofs. Schools in Puerto Rico are not fully operational. Today, some schools are still unable to operate on a full day schedule because they lack reliable power, which influences a wide variety of services like sanitation pumps, the cafeteria and learning. This is unacceptable and considerably slower than it took to reopen schools in Texas and Florida after Hurricanes Harvey and Hurricane Irma. In addition to regaining power, it is imperative that the government develop a stronger plan to help children make up for lost learning and improve the quality of education on the island. As physical damage continues to be repaired, emotional wounds need attention too. Catastrophic natural disasters often cause people to witness wide-scale destruction, be torn from routine and normalcy, and sometimes even experience the loss of a loved one. At this point, black-outs serve to quickly remind people, and in particular, children, of the trauma they experienced. Psychological support is needed for parents, teachers, principals and caretakers in addition to the island’s children. Puerto Ricans are resilient and want to rebuild. I grew up in Puerto Rico. And in my multiple trips to the island over the past months, I have met countless people who are working as fast as they can to rebuild what was lost and build back their communities even better than they were before. That includes Alexandra and her brother, who I met in one of our child-friendly spaces while their parents worked to salvage all they had lost. The determination of their family to make Puerto Rico home again was motivating, and I know we can do better for the island. The next storm could be here sooner than we think. Now is the time to plan for what could be another active season. Save the Children will be working on emergency preparedness with the schools we support but a wider government plan must urgently be put into place. History will judge how American citizens and the government aided Puerto Rico not only in the immediate aftermath of the storm but also in the long-term recovery. There have been amazing stories of people helping one another and Puerto Ricans showing their strength and resiliency but simply put, more should have been done and more must be done. Puerto Ricans urgently need reliable, functioning power, and Congress should allocate more funding that puts children’s education and recovery needs front and center. And we all must resolve not to forget our fellow Americans who are still suffering seven months after Hurricane Maria. 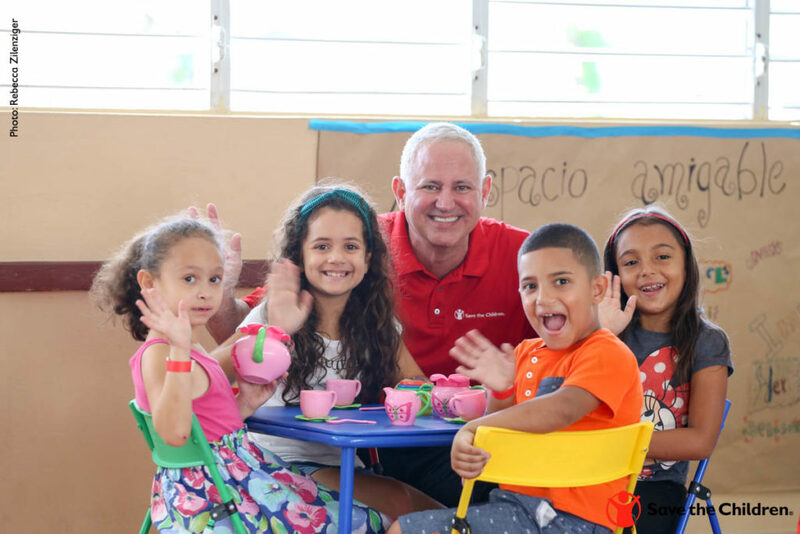 Carlos Carrazana is the chief operating officer and executive vice president of Save the Children. 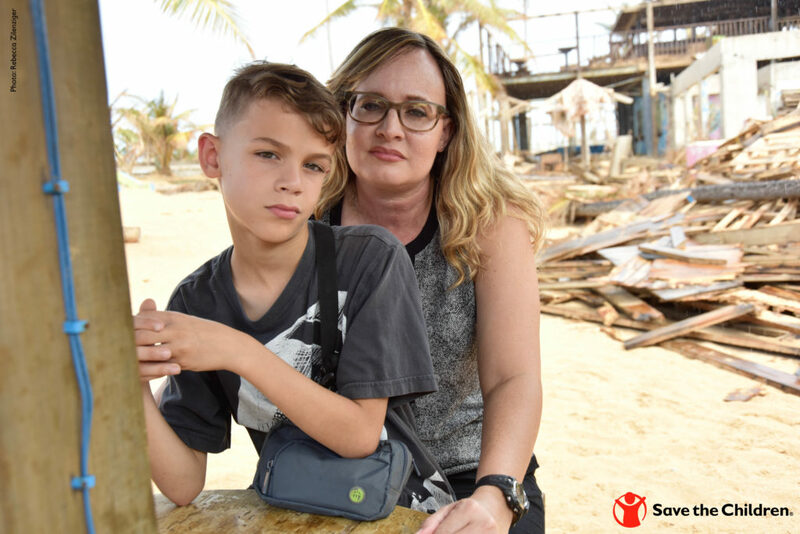 Learn more about Save the Children’s Hurricane Maria response at savethechildren.org/Hurricane-Maria. As a concerned parent, you are sensitive to the nutritional needs of your child, and that includes avoiding risk factors that could lead to malnutrition. Understanding the major causes of malnutrition can help you form good habits when it comes to your own health as a parent, as well as the health of your child. Here, we breakdown four major factors that contribute to malnutrition in children. Malnutrition, at its core, is a dietary deficiency that results in poor health conditions. We typically think of malnutrition as it relates to children not eating enough of the right foods. It can also occur when children eat too much of the wrong foods. Either way, more than 170 million children fail to reach their full potential due to poor nutrition. 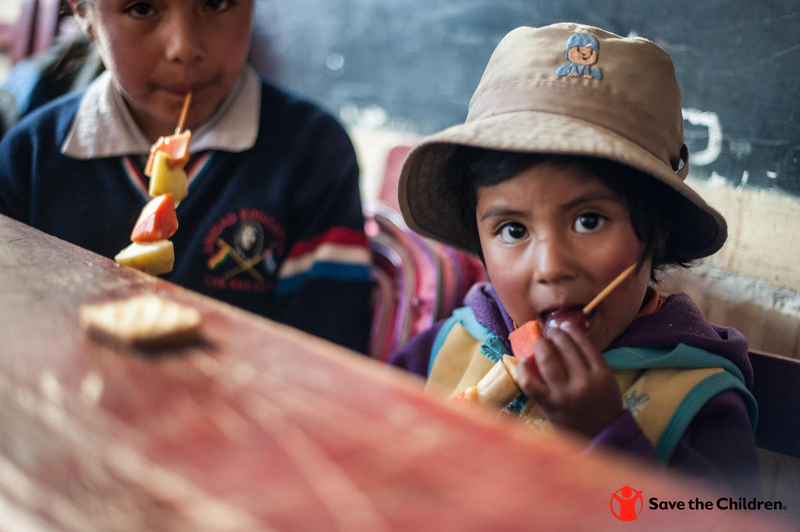 At a Save the Children-supported school in Bolivia, young children enjoy healthy snacks. Malnutrition can occur in children of all ages, but young children are the most vulnerable. The World Health Organization has stated that malnutrition is the single most dangerous threat to global public health . It contributes to 45 percent of deaths of children under the age of 5 . This is due, in part, to the critical importance of the first two years of a child’s life. The largest window of opportunity for a child’s health occurs in the first 1,000 days-from the start of a woman’s pregnancy to her child’s second birthday. Mothers who are malnourished during their pregnancy can experience complications giving birth. Many children are born small because their mothers are undernourished. Severely malnourished mothers can also have trouble breastfeeding their infants. We know that breastfeeding for the first six months of a child’s life has health benefits that extend into adulthood. However, if a mother is too malnourished to breastfeed, these health benefits may not be passed on and a child can be at risk for malnutrition. This is especially true in developing countries. 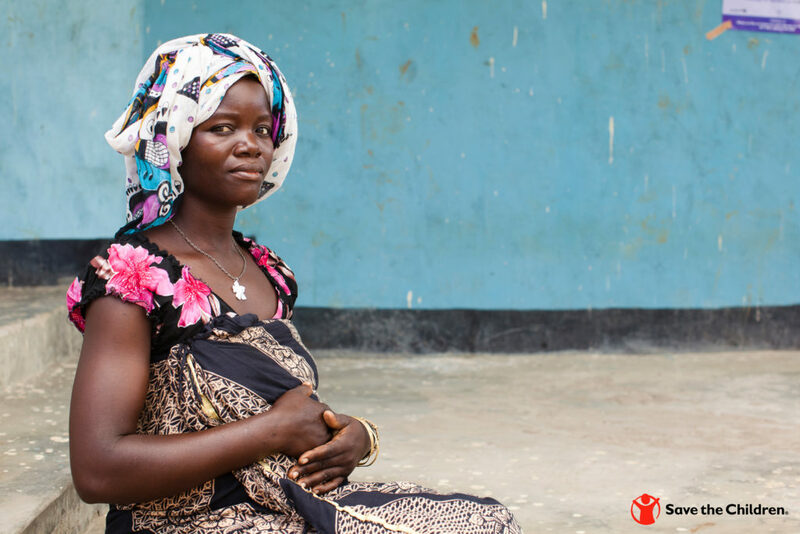 At a Save the Children-supported health center in Tanzania, Zinak*, 24 and 7-months pregnant, receives a prenatal check up. 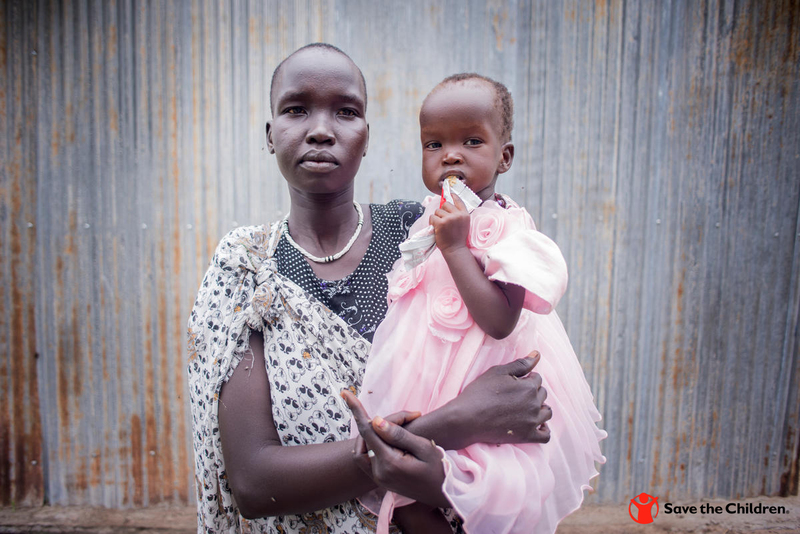 Mothers like Zinak*, pictured above, who live in developing countries can be unaware of nutritional benefits of breastfeeding. In Tanzania, for example, the average duration of breastfeeding is only 2.4 months. Tanzania is one of the 10 worst affected countries in the world by chronic malnutrition and is the third worst in Africa. Global health programs like the ones Save the Children supports works to help maternal, newborn and child health, which ultimately helps end child malnutrition. We work in many of the world’s poorest places, in the United States and abroad, to alleviate child hunger and prevent malnutrition. However, children living developed countries are still at risk for malnutrition if they are born into poverty. Poverty is the number one cause of malnutrition in developing countries. Often times, families living in poverty lack access to fresh fruits and vegetables. Many communities do not have full-service grocery stores that regularly stock fresh produce. Even if they do, fresh fruits and vegetables can be expensive. When fresh fruits and vegetables are out of reach for children, they can fill up on less expensive, less healthy foods. Rebecca, 25, holds her daughter Rachael*, 11 months while she eats high nutrient peanut paste after being treated for severe acute malnutrition at a Save the Children stabilization center in South Sudan. Sadly, the violence of war and political unrest can also lead to severe malnutrition. In South Sudan, for example, conflict and drought has led to devastating conditions for children. Save the Children in South Sudan is the lead health and nutrition provider in much of the region. We run 58 feeding program sites for infants and young children, all powered by the support of our donors. The crisis in Syria has also shed light on the number of refugee children who are at risk of malnutrition. Children, who make up more than half of the world’s 22.5 million refugees, often go without healthy food, health care and an education. Access to food and water has become a heartbreaking challenge— leaving thousands of Syrian children at risk for malnutrition. There are many ways to help Syrian refugee children. Your knowledge and support can make a world of difference for children around the world.